"The death of Syd Barrett in 2006 was tragic, not only because he was a pop genius, but also because he lived in mystery since his self-imposed banishment from public life in the early ‘70s. This exceptional film, directed by John Edginton, gathers rare early concert footage, home movies, early TV appearances, chats with friends, lovers, managers, and admirers (including primary heir apparent to the Syd throne, Robyn Hitchcock), and new interviews with all four surviving members of Pink Floyd. All this provides an expansive look at this most misunderstood and mythical figure in rock iconography. A bonus disc features unedited interview feeds with Roger Waters, David Gilmour, Rick Wright, and Nick Mason, as well as great acoustic performances of Syd songs by Hitchcock and Blur guitarist Graham Coxon, making this as indispensable as The Wall itself." 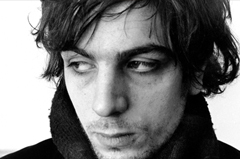 The Pink Floyd and Syd Barrett Story tells the Barrett story in the words of those who knew him and those who admired him, but the man himself is missing. This is a natural and necessary omission as Barrett was rarely photographed, let alone heard from, in forty years. Newly enhanced DVD reveals how the Barrett legacy looms large over the band that left him behind...the film includes a treasure trove of footage from the relatively well known to the impossibly rare. Finally the Pink Floyd story as it should be told…a moving and thoughtful documentary. This documentary provides an expansive look at this most misunderstood and mythical figure in rock iconography.